NHS doctor claims weight loss product ads should be BANNED | SHEmazing! One of the UK's most senior doctors, Professor Stephen Powis, has written in The Telegraph that weight loss advertisements which are celebrity-endorsed should be banned. Professor Powis is currently the NHS' medical director, and has criticised well-known celebrities such as the Kardashians for promoting weight-loss products and aids such as teas, shakes and pills on social media, and has even called for Instagram to oppose them. The doctor referenced the troubling statistic that more than one in 10 young people are affected by mental health issues in the UK, and are heavily influenced by body insecurity and famous faces encouraging them to lose weight. He emphasised that mental health issues are one of the "most pressing issues facing out country". SHEmazing recently wrote about the level of profit which people like the Kardashians can gain from the insecurity of their fans. Poor messaging can lead to dangerous consequences, and numerous organisations such as the National Eating Disorder Association have branded the Kardashian family’s representation of weight loss products as ‘triggering’ for those who struggle with eating disorders. Professor Powis made sure to emphasise that impressionable young people look to these people for lifestyle guidance; "At what is already a sensitive and important time in their development, this group is especially vulnerable to pressures which trigger or exacerbate mental ill health," he writes. A shocking HALF of young girls say that they feel under pressure to lose weight, the doctor says that social media's ascension has escalated this pressure and both celebrities and the platforms themselves must take responsibility for their posts. "Our young people are bombarded with ideas, images and advertising which set such a high bar for what they should feel and look like," he writes. "And yet there is little accountability for the impact this has. Prof. Powis also suggested that practical measures should be taken to stamp out the 'exploitation' of youth, such as online platforms "banning adverts for products with a known health risk". YAS KING. "Everyone, especially those engaging with young people like social media firms, and celebrities who profit from them, have a duty of care to do more for our health and wellbeing". "The NHS can't keep putting out fires if some parts of society keep lighting matches," he concluded, using a pretty effective allegory. Kim Kardashian West has an especially long history of promoting weight loss products on social media, as well as her sisters, Kylie and Kourtney. 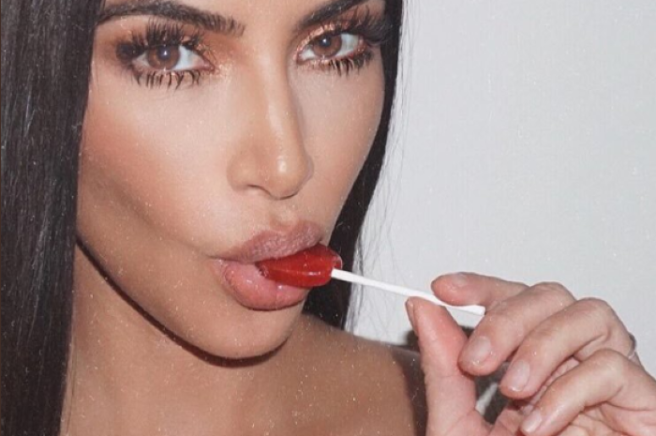 Kim faced backlash in May for promoting appetite suppressant lollipops on her Instagram. One of the world's most powerful women was literally telling other women and young girls NOT TO EAT. The Good Place actress Jameela Jamil founded the i Weigh body positivity social media movement and Kardashian West "a terrible and toxic influence on young girls". Jamil has consistently called out celebrities including Cardi B and Iggy Azalea for promoting 'detox' teas, claiming they're just selling digestion problems instead. Jamil herself experienced an eating disorder as a teenager, and skipped meals for years at a time. She spent money on "miracle cures and laxatives and tips from celebrities" which later left her with "digestion and metabolism problems for life". The Competition and Markets Authority has announced a clampdown on celebrities who don't label their posts as promotional advertisements, but solid rules aren't in place. NHS England's national mental health director Claire Murdoch expressed concern over the influence which these celebrities have young people at an "impressionable" stage in their lives. "Both the celebrities themselves and these social media companies themselves should be more responsible," she told BBC Breakfast. We're so glad the NSH are finally using their influential platform to steer people in the right direction. Time will tell what type of future diet fads will hold, but they're looking highly unpopular right now.